Pointed out to me by a colleague (ages ago!) – Ton Stegeman’s ‘Content by Type‘ web part. A good way of rolling up content of diverse types, without lots of XSL. If your content type structure is right, may well be other ways of doing this (the content query web part and data view may work) – but this is quite a nice looking tool, and simpler. Need to download and have a play sometime soon. This is a pretty weird error. I was doing content roll-up of Announcements lists, to give a unified news channel for our intranet. Naturally, I decided to do this using the Content Query Web Part. I added one, and selected that I wanted to query for the contents of Announcements lists. As I like RSS feeds, I enabled one, and I added it to my favorite feed-reader. So, what what content roll-up web part to choose? Well, typically (for SharePoint) it depends. Bamboo’s List Roll-up Web Part is the most feature rich, but a bit tricky – certainly it’s a bit too complex if you’re wanting to allow users to set up their own roll-up. The use of CAML is also a big no-no for allowing basic users to set up their own. 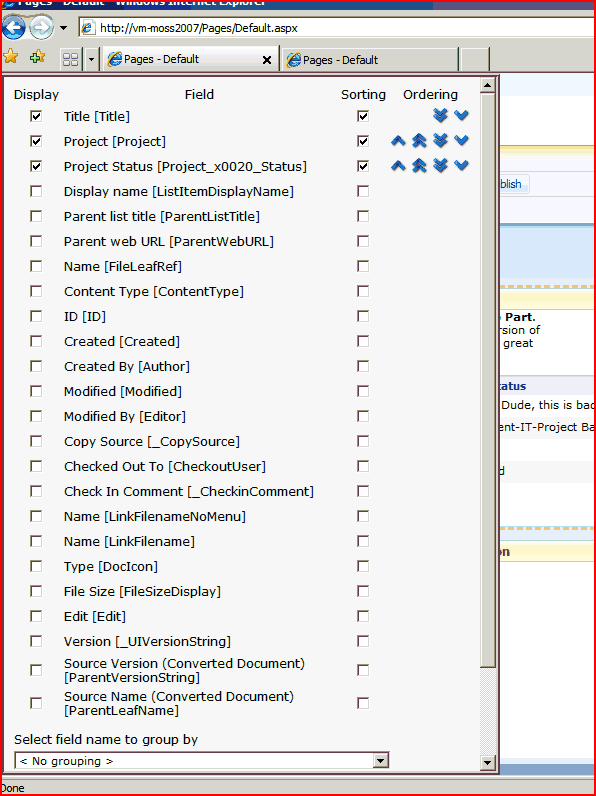 It’s a shame; it really is let down by this complexity, although it’s still simpler than using SharePoint Designer. Using the Dataview Web Part directly has the same problem as Bamboo’s List Roll-up – complexity. It also requires SharePoint Designer. It’s harder to generate the Data View Web Part, but to be honest (given that you can do the same things as Bamboo’s List Roll-up web part) I suspect that most organisations would be fairly willing to live with that. For me, it’s main problem is that it doesn’t pick up new lists automatically; you have to modify the data view web part to add the new lists. For that reason, I think you can only use this approach when you have a fixed set of lists to aggregate over. 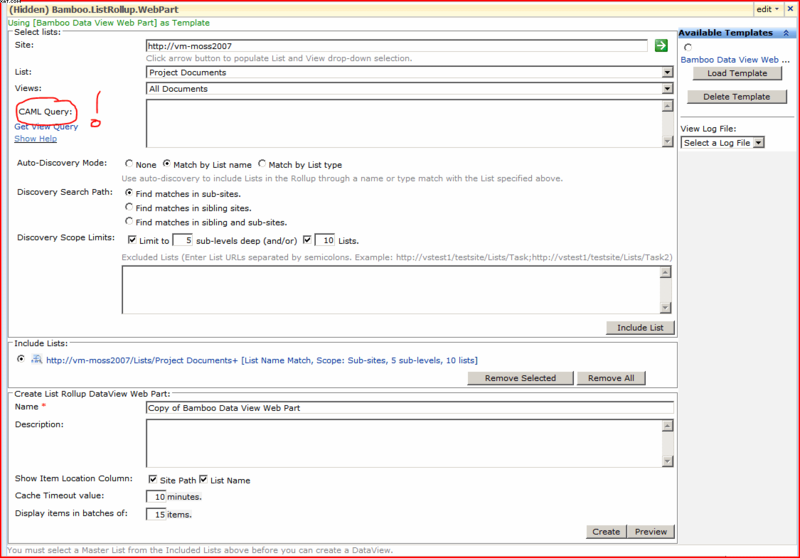 The Content Query Web Part is pretty good, and there is a reason that it’s so often discussed in SharePoint Solutions. The web part itself is fairly straight forward to use – but using custom metadata in the display is a bit too complicated. Again, I think this solution is out of the range of the ability of typical users. I don’t like the lack of pagination options, either. Lightning Conductor is the only one of the web parts that struck me as being simple enough that a non-technical person would be able to set up and use for content roll-up. It had many of the more complex features that we’ve seen (e.g. using XSL for formatting the results), but you didn’t have to use them, and the user interface exposes things that seem missing from the CQWP – like the ability to select the fields you want in the display! I’ve got to say, this is my favourite of the solutions I looked at. Are you wanting to aggregate across site collections? Are the source lists fixed, or will they be changing? Will the roll up be configured by technical or non-technical staff? I guess you weigh those up and take your choice. Edit: One questions I was asked was if it’d be difficult to write your own. Well, there’s no reason why you couldn’t; with the SPSiteDataQuery it wouldn’t even be hard. Programming around the configuration would take longer, and as we’ve seen, this can make a big difference to the usability of your solution. What I would observe is that both the 3rd party solutions were pretty cheap; it’d be diffult to write your own for as small a cost.